Register Today! Conference Registration is now open. Teacher's from the Toa Nafasi (one of IASEs Volunteer Service Projects) provide us with a special welcome to Tanzania. Toa Nafasi in Swahili means to “provide a chance.” Their mission is to give every learner in the primary school classroom an opportunity to succeed, regardless of his or her learning style. Sponsor a Tanzanian Teacher Today! Thanks for your donations so far...we are off to a great start! Help support future educators. Looking forward to so many more! 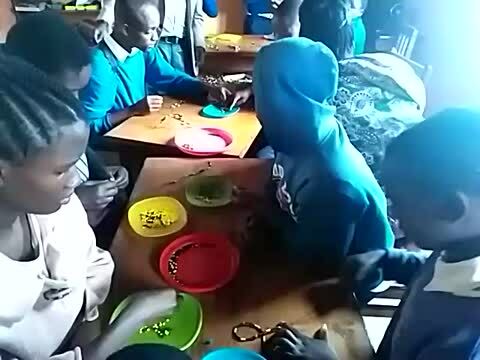 The students from the Irente Rainbow School for children with special needs have already made 200 name tag lanyards for conference registrants. Team members inspecting the name tag lanyards. You do not want to miss out on IASE 16th Biennial Conference! Meet the local planning committee for the IASE 16th Biennial Conference. Mr. Mdabagi, Ms. Mbila, Mr. Shekivuli. Not shown in this picture: Sarah Rosenbloom, Lucy Mwinuka, a representative from Lushoto District council, and a representative from the Office of Prime Minister. Start Planning Your Travel Today! Our Conference Blog, Updated Housing Options for your trip, Registration, Travel Tips, Exhibitors, Advertisement, Sponsorship to Support a Teacher in Tanzania, Pre and Post conference options, and conference proceedings are now open. Look for more updates throughout the following months! Click on photos in green to learn more. Thank you for contacting us. Please share your stories, questions, comments and concerns. We will get back to you shortly. (one page) resume to: Dr. Beatrice Adera, IASE President at presidentiase@gmail.com or to Marg Csapo - IASE Nominations Chair via email margcsapo@shaw.ca or postal mailed to Dr. Marg Csapo, 3483 W. 18th Ave., Vancouver,CANADA BC V 65 1A8. Members Only Link. Click Below. Welcome to our new payment system. We are now using an Authorize.Net Payment Gateway account which accepts credit cards and deposits funds automatically into our bank account. All amounts are in US dollars. Please note you have three choices of cards (Visa, Mastercard or Discover), Just click on the buttons to the left under Membership Type for our dues. Click on the buttons to the right to sponsor a new member, to contribute to the Marg Csapo Scholarship and for general donations. Just click on the payment for you! IASE is a 501(c)(3) non-profit organization. The registered agent is located at 700 Pilgrim Parkway, Suite 104, Elm Grove, Wisconsin, 53122-2063 USA. Our IASE Federal ID# is 43-1974089. The foundation PROSEFAM operates in the south-west of Barranquilla, Colombia. This VSP site has been developing a school that works with children, the elderly, and young people with psycho-sociable problems by providing free education, AIDS and Legal support of guidance in general. Check out more information on PROSEFAM by visiting our site too! Below you can see children welcoming IASE volunteers in style. After 17 years...…. The Kianh Foundation (Dien Ban Day Centre) is the literal blood, sweat, tears and commitment of Jackie Wrafter M.B.E (and her dedicated team). In June 2018 Jackie was deservedly recognized on the Queen's honours list and received an M.B.E at Buckingham Palace this December. Jackie exemplifies the power of authenticity and resolve. Jackie thanks for being such a visionary and changemaker. We are proud to have you as one of our VSP sites. Dien Ban has one of the highest proportions of disadvantaged children and children with disabilities in Central Vietnam. Based on government records, there are over 1,000 children with disabilities and or special needs living in Dien Ban, the majority of whom do not have access to any kind of support services. It is difficult to pinpoint the exact number of children with disabilities in this area as we regularly encounter children who are not listed on any government list. To address this need, the Kianh Foundation built a custom-designed Day Centre for children with disability. The centre is the first of its kind in the region and will address a critical gap by providing much-needed special education and therapies such as physiotherapy and speech to children with disabilities. IASE has been working with Dien Ban Day Centre since its opening in 2012. This centre is the first of its kind in the region and addresses a critical gap by providing much-needed special education and therapies such as physiotherapy and speech to children with special needs. We named it Kianh after a young boy who had Cerebral Palsy. His parents had both died in an accident and he had been placed in an orphanage with his older brother and sister. His day to day life was dire but he was still very happy and smiley and extremely beautiful and charismatic. Donate Now to one of our VSP sites.
" All of us do not have equal talent , but all of us should have an equal opportunity to develop our talents." At two years of age, Trang is the youngest full time student at the Centre. We've loved every minute of our journey so far. More than one billion people around the world, of whom nearly 93 million are children, live with some form of disability. Persons with disabilities experience inequalities in their daily lives, and have fewer opportunities to access a quality education which takes place in an inclusive environment. In 1989, the non-profit International Association of Special Education (IASE) was founded with the vision to improve the quality of life and service delivery for all individuals with special needs. IASE gives individuals an opportunity for collaboration across borders by learning from each other. With the help of local and invited experts, participants search for effective strategies to learn how to organize relevant leadership training in their home countries. "Achieving inclusive and quality education for all reaffirms the belief that education is one of the most powerful and proven vehicles for sustainable development " (Sustainable Development Goal 4). So as we approach another year let us continue to hear about your stories and how IASE has impacted you! Joining IASE is a life-time investment. In 2005 the Board of the International Association of Special Education approved the establishment of the IASE Volunteer Service Committee. This committee focuses on supporting the Volunteer Service Projects (VSPs) at sites around the world. 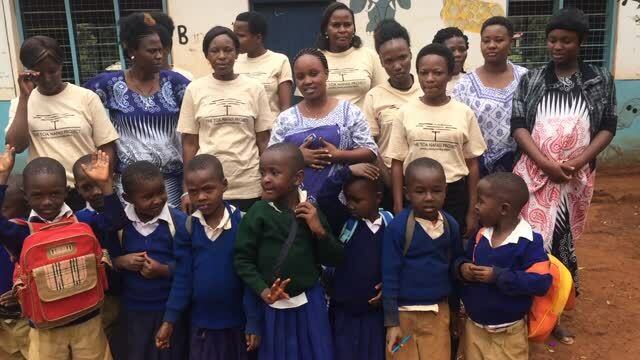 These projects provide further assistance in the area of special education service to agencies, schools, and organizations by sharing professional expertise, materials, and tools for educators and students in developing countries. The volunteers who provide this nondenominational altruistic service are IASE members. All staff and volunteers receive no monetary remuneration. The IASE GIVING Funds are used specifically to support our Volunteer Service Project sites. This allows each site to operate and transform over time into a change agent within their respective country. Sankalp worked in three small village schools located five hours drive time north of Delhi. In 2011 the success of this project serving lower socio-economic children's needs resulted in all of the children being mainstreamed into regular schools in the area. IASE Volunteers and GIVING Funds helped to provide supplies and support to make this happen. Provide opportunities for IASE members to network, collaborate, publish, and interact internationally. Provide information on our rich history, research and so much more! Reflecting on 2017, I must thank you and the Board of IASE for giving me the opportunity to participate in the 15th Biennial Conference in Perth Australia through the Marg Csapo Scholarship. It has created new horizons for me and has also inspired many people with whom I work in Guyana, because there are very limited opportunities for Guyanese in these areas despite the amazing work done in the field of Special Education. Check this off your 2019 list! Get a head start on the new year and donate today! IASE is an international organization working with people in more than 50 countries to create lasting solutions. IASE is a non-profit, tax-exempt association under Section 501(c)(3) of the Internal Revenue Code. Gifts are tax deductible to the full extent allowable under the law. Our IASE Federal ID# is 43-1974089. Our IASE founder, Dr. Marg Csapo, welcomes submissions to on-line journal, The International Journal of Special Education. The intent is to make the journal available internationally and free of charge to everyone who is interested in special education or is a student of special education. For more information go to our new website at: http://www.internationalsped.com/issues.cfm.